The kids are back to school next week which means the dreaded school run and pack lunches. 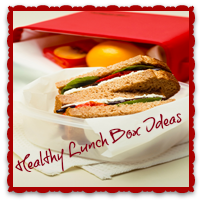 We have some healthy options to fill up your child’s lunch box and their stomachs! Instead of sandwiches why not try tortilla wraps or pitta breads. They are a little lighter & you can fill them full of goodness. Spread cream cheese on a wrap and fill with lean meats & salad and roll, you could also cut into pinwheels for younger children. A favourite in our house is chicken and salad pitta bread, you can get mini one which are perfect for the lunch box. If your child is not really into bread then give them a salad. Cous Cous, rice and pasta are filling alternatives. You could add roasted veg, lean meats, tomatoes & cucumber or a homemade sauce. My daughter loves chicken drumsticks any time of the day so sometimes I pop one in her lunch box, I make sure I removed the skin first. Chicken is full of protein and is lean which is a double bonus. Make your own jelly using fruit juice or use sugar free sachets and add your own fruit to it. Savoury Muffins are perfect for lunch and are simple to make. You can make a batch at the beginning of the week. Try this Cheese & Bacon Muffin recipe. If your child likes something sweet in their lunch box then try making your own cakes & biscuits they will be healthier than shop bought ones. Child addicted to crisps? Make your own pitta/tortilla chips. Just cut them in to the shapes you want, spray or brush lightly with oil and bake in a low oven for 5-10 minutes. You can also add spices or herbs to them. Plain popcorn also makes a good snack and is low on fat and is a whole-wheat . Dips & crudities are fun to eat and can be super healthy. Cut carrots, peppers, celery and cumber into strips and pop in a dip such as hummus or cream cheese and let them dip to their hearts content. If they prefer it sweet then cut up fruit and use natural Greek yogurt & a squeeze of honey. 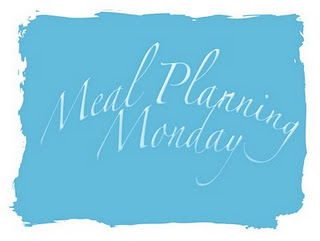 We want to hear about what you put in your children’s lunch boxes, what other ideas do you have? Leave us a comment below or if you have written a post pop in on our linky. 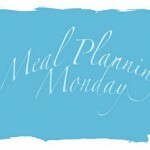 The bank holiday has already confused me and I thought today was Sunday, hence a late meal plan this week. I’m rather sad the holidays are nearly over. Thankfully my daughter is only a pre-school so no rush for school things for us! If you are still on the lookout for Back to School products then checkout our top picks. We are just about half way through the summer holidays (apart for Scotland who have already gone back). Many of you will be rushing around get new things for your child’s return or first day at school. How is your summer holiday going? We are having lots of fun, this week we went to Burghley House in Lincolnshire ran about in the fountains and had a picnic and yesterday we went to a local food festival. If you are stuck for things to do then check out our Ways to Save Money This Summer post which packed full of ideas and discounts for theme parks. Also the National Trust have children go free this August so make the most of that! Explore with the National Trust This Summer. Kids Go Free this August! 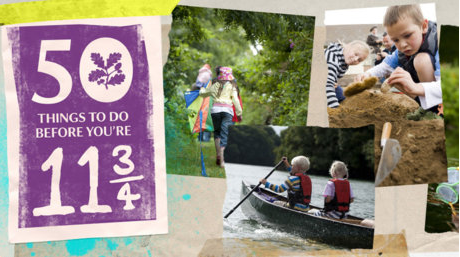 Earlier this year we told you all about the National Trusts 50 Things To Do Before Your 11¾ which is jammed packed full of ideas and adventures to be had. It’s free to sign up to and you get your own page to track your progress. You can find the full list and T&C’s on their website. The summer holidays can be an expensive time with days out and activities to keep the children occupied. Make the most of your local area; you’ll be surprised how many free things there are for you to do. Visit your local library or park take a picnic and make a day of it. Do you have a local museum? They are often free to visit. Theme parks and days out can be expensive so make the most of discount vouchers and online deals. Here are some of the offers we found online. Chiquito – Children eat free, download voucher from their site. ASK – Children eat free, download voucher. If you travel by train then invest in a Family and Friends railcard. You save a 1/3rd on adult fares and up to 68% off children’s fares. Visit your local train company’s website they often have special offers including discounts on attractions. Travel by coach as this can often be a much cheaper option though they make take a bit longer to get to your destination. You can save a fortune by taking your own food on days out including drinks. Its quickly adds up when you have hungry mouths to feed. Save the pennies for a treat like an ice-cream. Set yourself a budget for your day out and stick to it. Take out the cash you need and leave the cards at home. You don’t need a lot of money to have fun. Whatever you do in the summer holidays have fun! We are surviving the summer holidays and I have made my daughter an Olympics fan so all is good this end. How are you coping? This is a quick and easy meal to make and one for the children to get involved with. My daughter loves rolling the meatballs. My top tip is to get everything ready before your child starts helping. Add the mince, parmesan and sage to a food processor and pulse until it forms one big ball. You can do this by hand if you don’t have a processor. Roll the mixture into balls, we make them about an inch big but the choice is yours. If it’s a bit sticky wet your hands and the roll them. Put the pasta sauce in a saucepan, bring to a boil and then leave to simmer. Heat a frying pan and add a drizzle of oil or a few sprays if you use spray oil like me. Brown the meatballs this will take 3-5 minutes. Don’t overload the pan so brown them in batches. Now you have two choices, I add the browned meatballs to the simmering sauce and cook for 20-30 minutes ensuring they are cooked all the way through. You could also cook them in an oven at 200oc /180oc fan for 20-30 minutes until cooked all the way through and then add to the sauce.